Who doesn’t love to save some bucks? Whether it’s a surprise sale at your favorite store or you find some coupons around the house you can use to buy something at Target, saving some bucks is always a pleasant surprise. 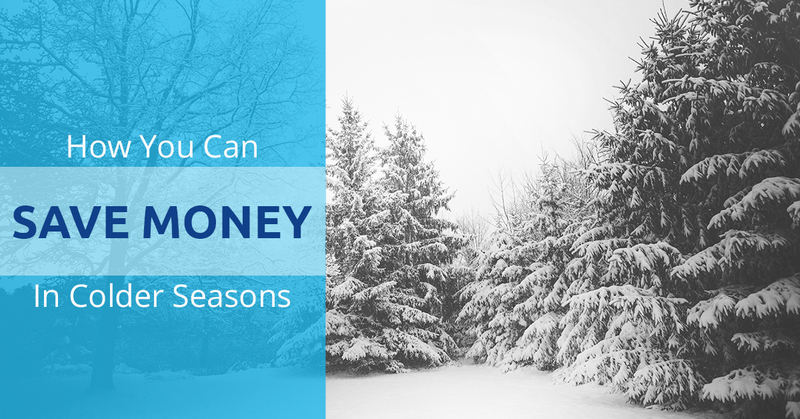 As the winter approaches and you crank up those heaters and furnaces, you might be thinking of ways to save yourself some money this season. With the holidays around the corner and utility bills becoming more expensive, finding little ways to save money is beneficial. Thankfully, at Pro Clean Windows, we understand your dilemma, which is why we’re dedicating an entire blog post to help you save money. As a window washing company, we strive to give you as much information on having a clean house, saving money, and why it’s important to have clean windows, in each of our blogs. In today’s blog, we’ll be covering three ways you can save money this fall and winter. We know, you must be excited about this topic since you can put those extra bucks in savings, spend a little extra on yourself, or put it toward other bills. These three ways will help you have a fatter wallet because you’ll save energy in your home and have lower utility bills. It might seem counterintuitive to hire a window washing company to help you save money, but when you hire us, we’re able to help you save money. We clean windows and drafts and damage to windows is one of the main ways you’re spending more money on utility bills. By having a clean window, there won’t be debris and other dirt moving and blocking the sealant on those beautiful glass panes. We’ll also keep your windows in good shape, so they don’t begin to deteriorate because of buildup. The weather stripping is on doors and windows. It’s the area that keeps out the cold and the hot air in the summer. It’s meant to reduce energy efficiency in your home and save you money. This is one of the easiest ways to save money during the cold months because all you need to do is look over the weather stripping to make sure it’s not worn, missing, or unattached. Take some time one weekend to see if the weather stripping is loose and if so, replace it. Lastly, there are so many energy efficient resources on the market you can purchase. Energy efficient resources are meant to save on energy, which helps your wallet and the earth. You can purchase energy efficient windows, energy efficient light bulbs, energy efficient heaters, water systems to improve energy efficiency, refrigerators that are energy efficient, and so much more. With all of these items to buy on the market, you’ll need to give a little before you can get a little, but in the long run, you’ll save money. Pro Clean Windows is a window washing service that caters to residences and businesses around the Sandy, Utah area. For more information on saving money this fall and winter, continue to read our blog or you can always stop by our window washing company to learn more about how we can help you have a house that’s in tip-top shape.